Rüsselsheim. 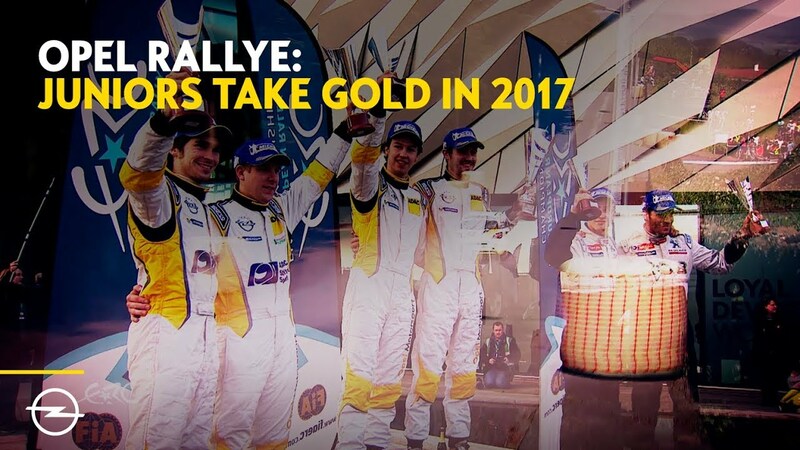 Opel continues to make a clear statement in the promotion of young rally talent. On the first weekend of March, the strongest brand rally series in Europe, the ADAC Opel Rallye Cup, enters its sixth season. The appeal of the joint Opel and ADAC young talent platform is as strong as ever. Three weeks before the start of the season at the ADAC Saarland-Pfalz Rallye, 20 drivers from ten countries had already submitted their entry for the 2018 season. Sixteen of them are registered in the junior rating for drivers under 27 years of age. Felix Griebel, who was already part of the field in the debut year of ADAC Opel Rallye Cup in 2013 and is the younger brother of long-standing Opel works driver and ERC Junior 2016 champion in the ADAM R2 Marijan Griebel, returns to the cup. The programme will once again include eight events in the German Rally Championship (DRM) as well as the German round of the FIA World Rally Championship, the ADAC Rallye Deutschland. The ADAC Opel Rallye Cup has not lost any of its allure since its first season in 2013. Over the years, the technically identical 140 hp Opel ADAM Cup cars have proven to be reliable, fast, competitive machines with which the best drivers from the Cup regularly upset considerably more powerful competition in the German Rally Championship. In addition to thrilling battles for position in the balanced Cup field as well as an informal yet highly professional environment with comprehensive support in the areas of technology, driver development and media relations, prize money of around €100,000 awaits the participants. But that’s not all: since 2013, six top talents have managed the leap from the Cup into the ADAC Opel Rallye Junior Team and the FIA Junior ERC with Opel. And Opel has been setting the benchmarks in these extremely competitive young talent championships since the beginning. With Emil Bergkvist (Sweden, 2015), Marijan Griebel (Germany, 2016) and Christopher Ingram (UK, 2017) three Opel works drivers captured the last three ERC Junior titles with their ADAM R2. Last year Italian Tamara Molinaro (20) also won the ERC Ladies’ Trophy in a works ADAM R2. The Opel ADAM R2’s current class dominance underlines last year’s impressive result: in 2017, the 190 hp rally star from Rüsselsheim snapped up no less than seven international and national championship titles as well as 48 class victories. Swede Tom Kristensson (26), who won the ADAC Opel Rallye Cup last year and advanced into the ADAC Opel Rallye Junior Team for the coming season, aims to follow in his successful predecessors’ footsteps. In his debut season in the FIA ERC Junior U27, Kristensson goes up against the best young rally talents of the continent. The ERC Junior events in the Azores and Gran Canaria as well as in Italy, the Czech Republic, Poland and Latvia offer a spectacular and demanding mix of three gravel and three asphalt rallies. A season highlight for the Opel works drivers and the ADAC Opel Rallye Cup talents in 2018 is again to take part in the ADAC Rallye Deutschland, the German round of the FIA World Championship. Following four class victories in the last four years, the goal for the ADAM R2 aces is crystal clear. For the young Cup participants, who again drive two legs from August 16 to 19 under the watchful eyes of the world elite, just starting in the field in the exciting WRC setting is a very special experience.